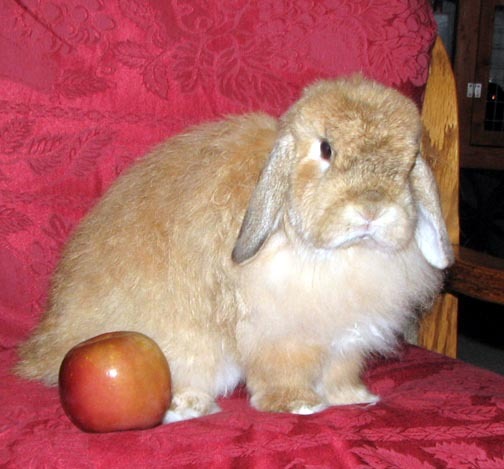 Disapproving Bun: Goldie - Hoppy Thanksgiving, Everybun! I disapprove of the posting of Goldie's photo out of order so that I missed it first time around! She was beautiful and golden and full of disapproval. I hope that immediately after this photo was taken, someone gave her the additional treats she required. One apple! What is she--an old timey schoolteacher? Sure she looks disapproving, but she is more nuanced than a mere hoomin educator. Goldie got everything she ever demanded! We still miss her. I miss her and I never met her.